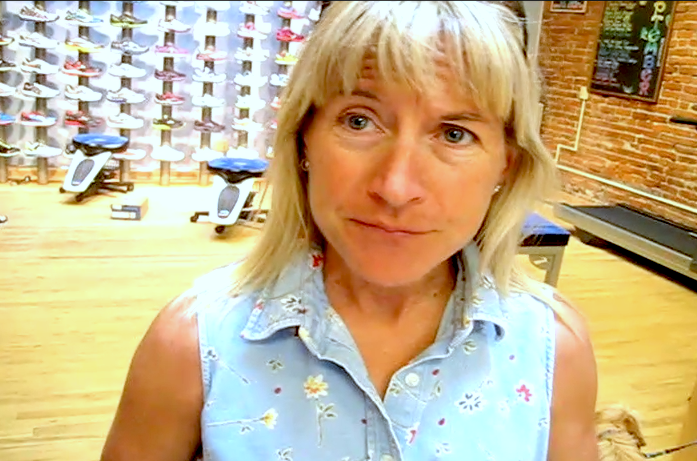 Nancy Hobbs – USATF Mountain, Ultra, Trail Council Chair. Stepping up to your first ultra (longer than 26.2 miles) can be a scary thing. So before I toed the line for my first 50k, I wanted to make sure I got some advice from accomplished ultra/trail runners on how to do is safely and quickly. Not only was this my first 50k (The Flagline 50k), but it was also the USA 50k Trail Running Championships. The best place to find a large number of top ultra runners assembled together – the race registration table the day before the race. So I waited around at FootZone in Bend, Oregon for some tips from the tops. There are some real gems of wisdom in these interviews. I hope you find value in them. This entry was posted in Interviews, Plant Powered Athletes, Racing, Running Tips, Tips & Tricks and tagged 50k, Altitude, Athlete, Bend Oregon, Blisters, Bob Dion, Championships, Dion Snowshoes, Flagline 50k, Mountain Running, Nancy Hobbs, National Championships, Oregon, Race, Richard Bolt, Running, Running Shoes, Shoes, Trail Running, Trail Shoes, Ultra-Marathon, Video. Bookmark the permalink. As an aspiring ultra runner, thanks! I’ll be doing a 50k next year for sure . . .